Hot on the heels of its smaller eVito sibling, we’ve had a brief drive of the Mercedes-Benz eSprinter, albeit in prototype form. 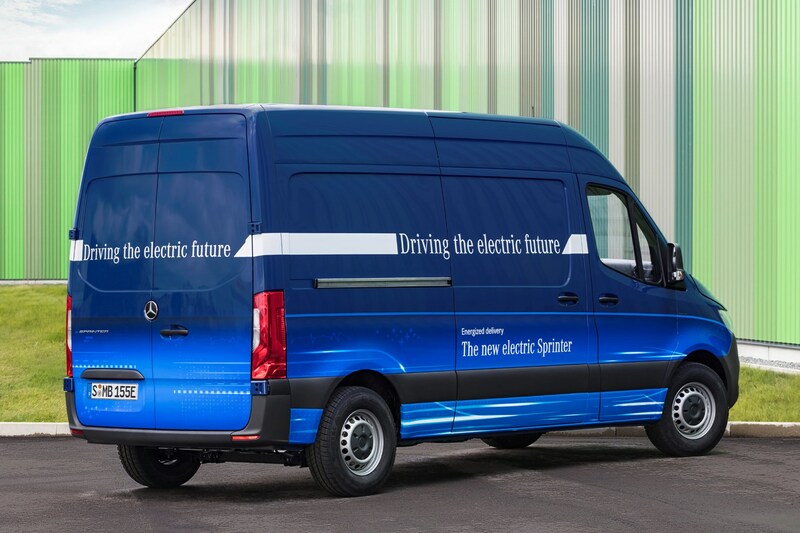 Although the electric Sprinter isn’t quite production ready, it will likely only be subjected to minor changes before it goes on sale in 2019, when it will face immediate and direct competition in the form of the Volkswagen e-Crafter. What’s the Mercedes eSprinter’s range on a single charge? There will be two versions of the eSprinter sold with either three or four battery packs depending on the needs of the operator. Using the same installation as the eVito, the three-battery version has a claimed electric range of 71 miles, while the four-battery eSprinter can travel up to 93 miles between recharges. Not huge distances compared with the mile-munching range of the diesel-engined Sprinters, but that somewhat misses the point: these are vans designed to be efficient for deliveries in cities, where the lowest possible running costs and ever-tightening emission regulations mean electric vans make sense. Plus, Mercedes’ own research indicates that across Europe most vans have a typical daily requirement to cover fewer than 60 miles, so these eSprinters are well within that range. For fleet managers wondering whether electric Sprinters might suit their requirements in combination with diesel ones for longer routes, Mercedes has a variety of apps and online tools to enable them to see how fully electric vans could be integrated into their fleets. How long does the Mercedes eSprinter take to charge? Using the most commonly used Type-2 connection, an overnight full recharge will take six hours to replenish the reserves of the three-battery pack with its 41.4kWh capacity. Those who require the extra range of the four-battery installation should expect the 55.2kWh capacity to take longer to charge – assuming the batteries are flat to begin with, reaching 100% should take approximately eight hours. 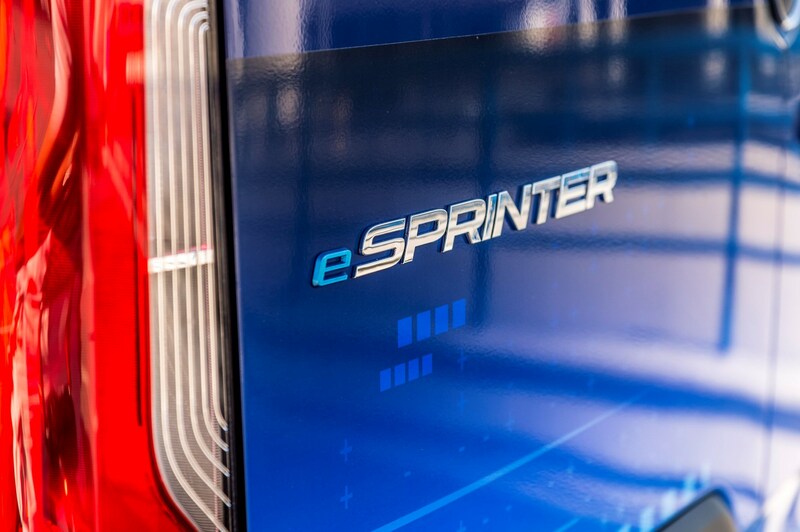 While it’s unlikely to be something that’s required frequently, if at all, the eSprinter can be connected to a rapid charger more than once each day, before being hooked-up to the slower 7kWh overnight charge without presenting any problems. Around 80% of the eSprinter’s battery capacity will be replenished in under an hour, so it could be planned into a route to coincide with the driver’s lunch stop. What is the Mercedes eSprinter’s load capacity? So far, all prototype versions of the eSprinter are the 5,926mm-long models, regardless of whether they have three or four battery packs. 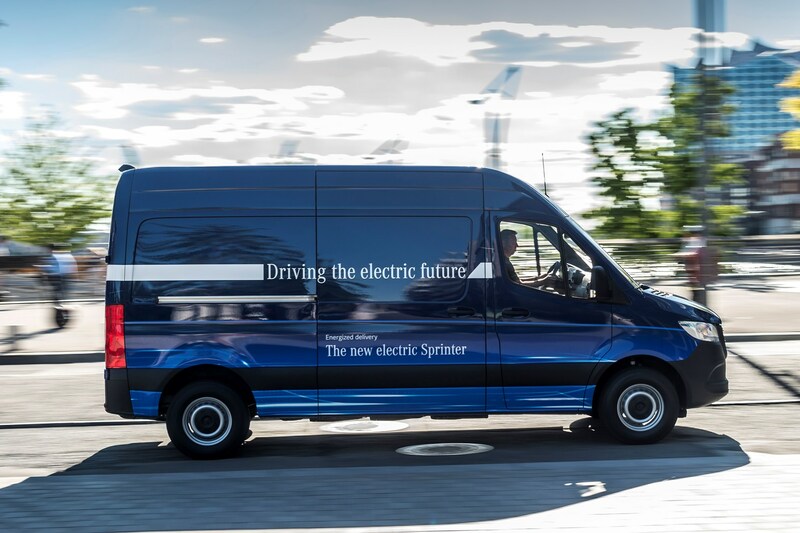 Mercedes has suggested that longer eSprinters could be made available if the market demands them, but given that such electric vans are intended primarily for city use, the more compact the footprint is, the better. Both versions have a cargo volume of 10.5 cubic metres – the same as the diesel equivalents as the batteries are housed under the floor. Payload-wise, the three-battery version can carry more, with a 1,040kg maximum, versus the four-battery eSprinter’s 900kg limit. What is the Mercedes eSprinter like to drive? In short: supremely easy, although with the caveat that we only drove it on a small private circuit. Other than the quietness – only disturbed by a high-pitched noise emanating from the electric motor as the speed increases – it feels like a conventional Sprinter diesel with an automatic gearbox. 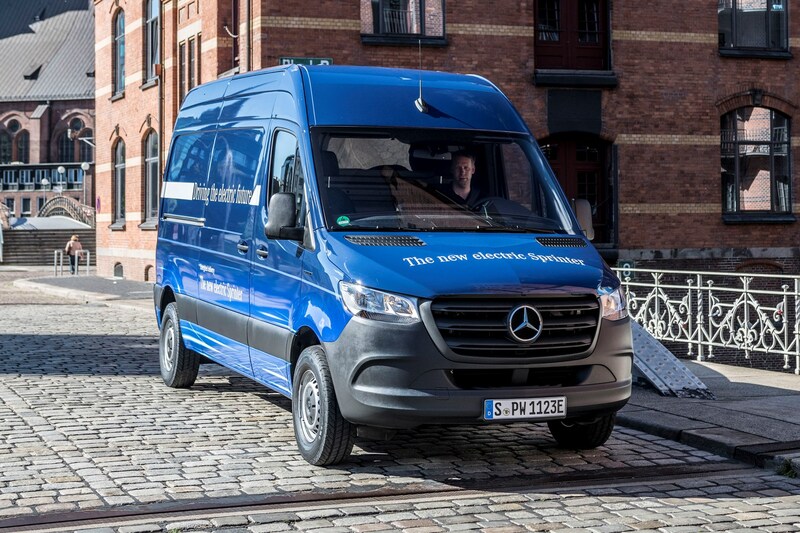 Pull the column lever down to select D- - that’s the eSprinter’s default mode – for the most efficient driving with maximum brake energy recuperation. Lift-off the accelerator and the Mercedes brakes at a rate of -1.5m per second, without touching the brake pedal. For urban driving this means the only time you are likely to have to brake in the conventional sense is when you reach a red light or stop sign as the eSprinter will continue to creep along rather than coming to a complete halt. While the brake recuperation feels progressive, it might not suit all drivers’ preferences, so other modes are available by flicking the steering wheel-mounted paddles. Pulling on the right lever scrolls you through to D with braking recuperation of -1.0m/s, while another pull brings you into D+, where it’s reduced further to -0.5m/s. Finally, there’s D++ with no braking recuperation at all, meaning that as you lift-off, it will continue to roll until it’s run out of momentum. Is there anything else an eSprinter driver needs to take into account? Aside from the driving, heating and cooling the cabin of the eSprinter is where the driver needs to be most switched on, pardon the pun. The interior can be pre-conditioned – either heated or cooled – before the start of a day’s journeys while the van is still plugged in, thus not impacting upon the available driving range. This tactic typically requires 1.5kWh of electricity. Other than that, the driver can reduce the impact of the cabin’s biggest cause of heat loss – opening and closing the door to make deliveries – by using the heated seat and steering wheel. Both of these produce a low load demand on the battery reserves. Mercedes has so far beenexceptionally guarded about how much the eSprinter will cost, limiting itself to its claim that the total cost of ownership will be equal to that of a diesel Sprinter within three years of running. Based upon a German-market price for the smaller eVito of €39,990, we expect the eSprinter will cost in the region of £45,000 to £50,000 when British sales begin before the end of 2019. As and when we have more precise information, we’ll update this figure. However, we do know that Mercedes is including the cost of the batteries within the price, with no separate leasing costs. They have a warranty of eight years or 62,500 miles, whichever comes sooner. 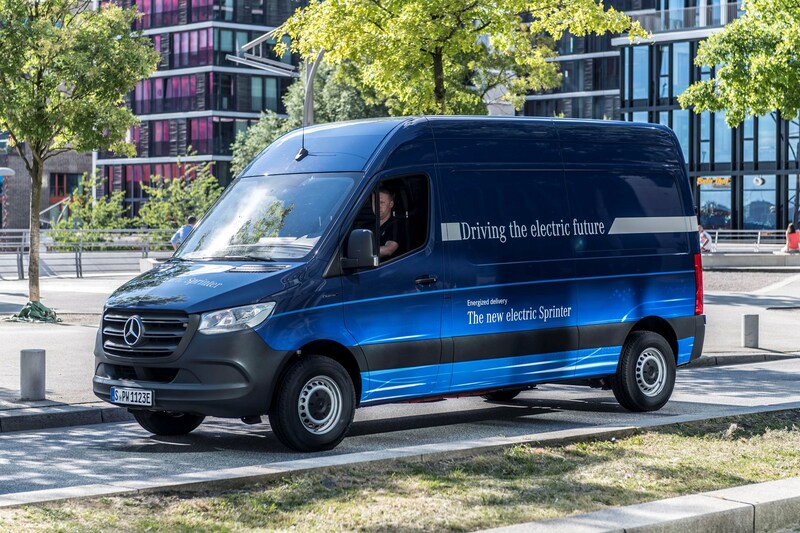 While the early signs from the Mercedes eSprinter are promising, electric vans won’t suit every user’s needs, but for those who run a fleet of vans, many of which operate in urban confines, it’ll be a welcome addition to the market.